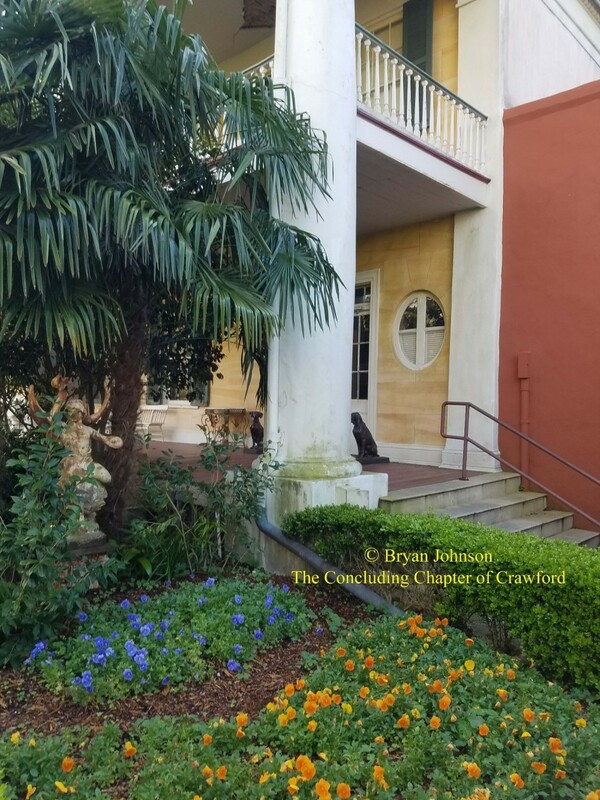 Above & Below: The location of the now infamous on-location photos of Joan and Bette Davis. 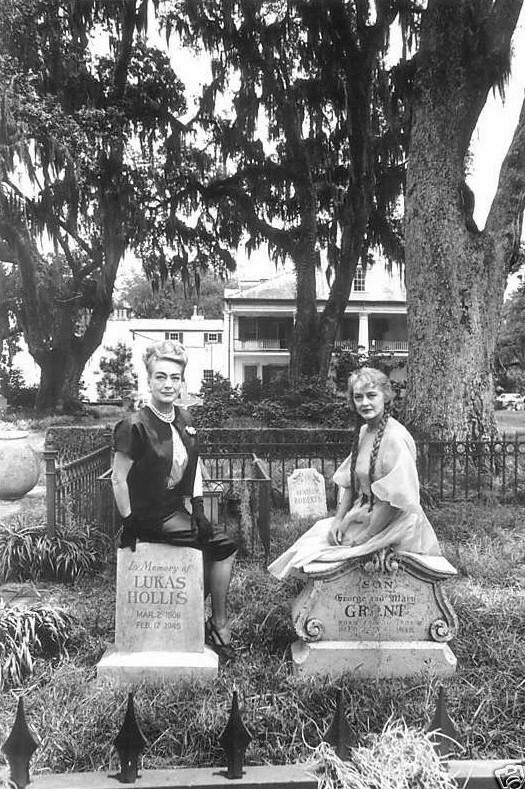 Photographed for Life Magazine prior to Joan leaving the production. 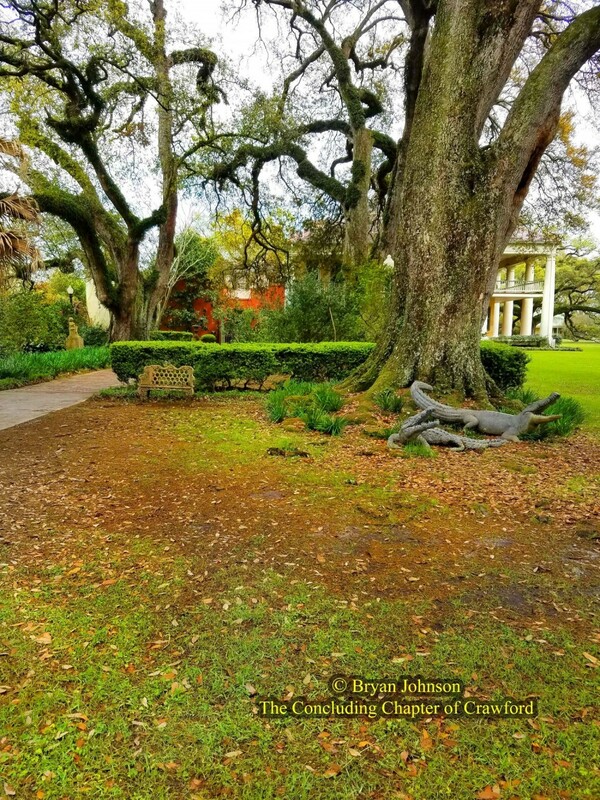 Below: The same brick pavers remain at the front steps of Houmas House, where Joan stood in character for "Charlotte". 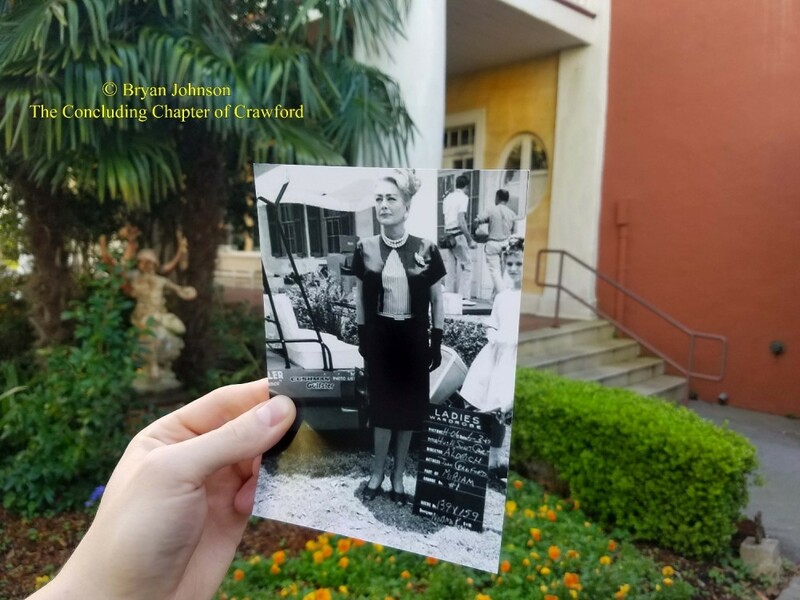 Below: Two composites of the Webmaster mimicking Joan's pose in Miriam's "arrival scene" in the same location. 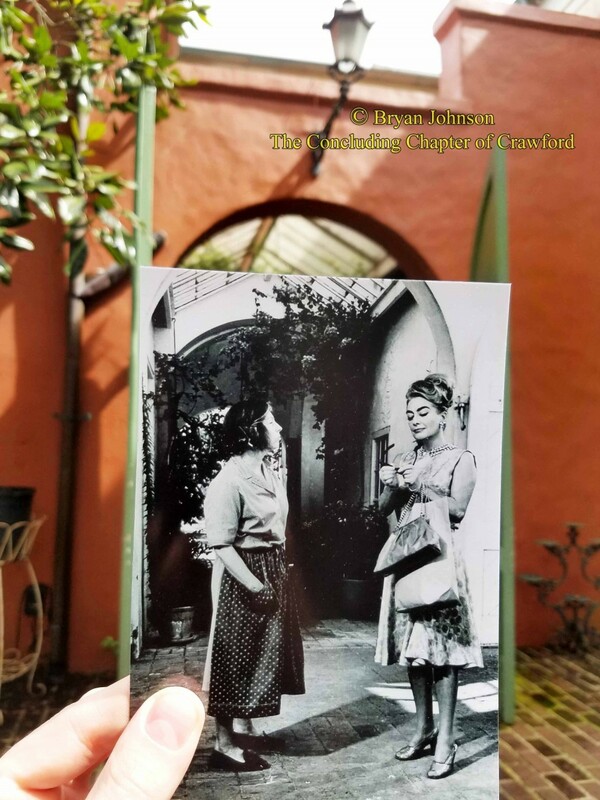 Below: The location of this publicity photo of Joan with Agnes Moorehead. 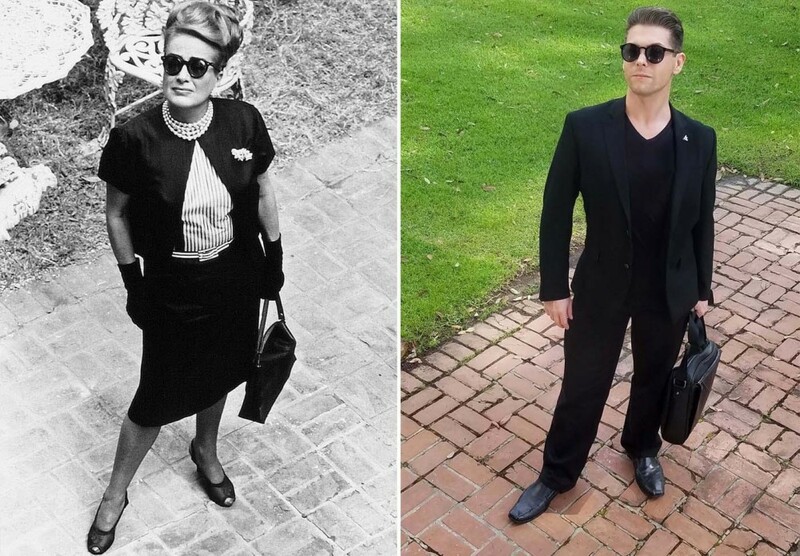 Below: The Webmaster mimicking Joan's pose in the same location. 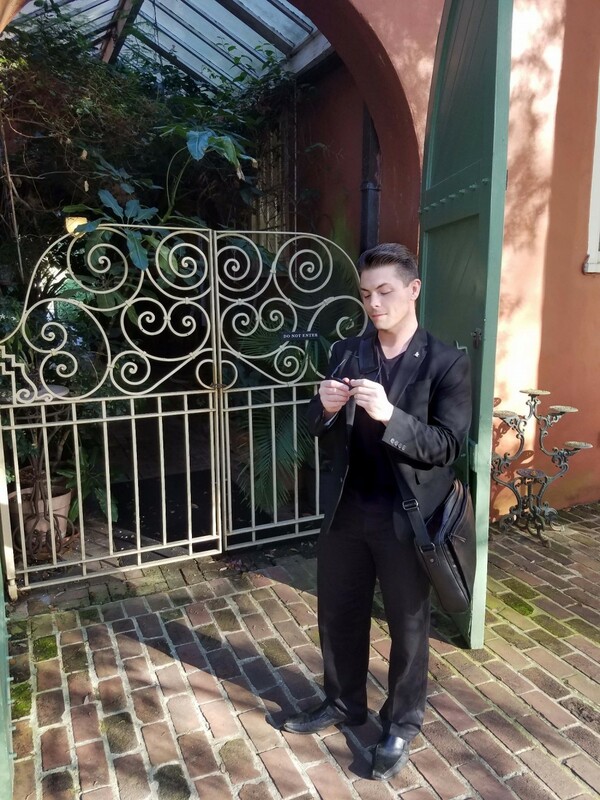 Below: The location of some of Joan's wardrobe tests for "Charlotte". 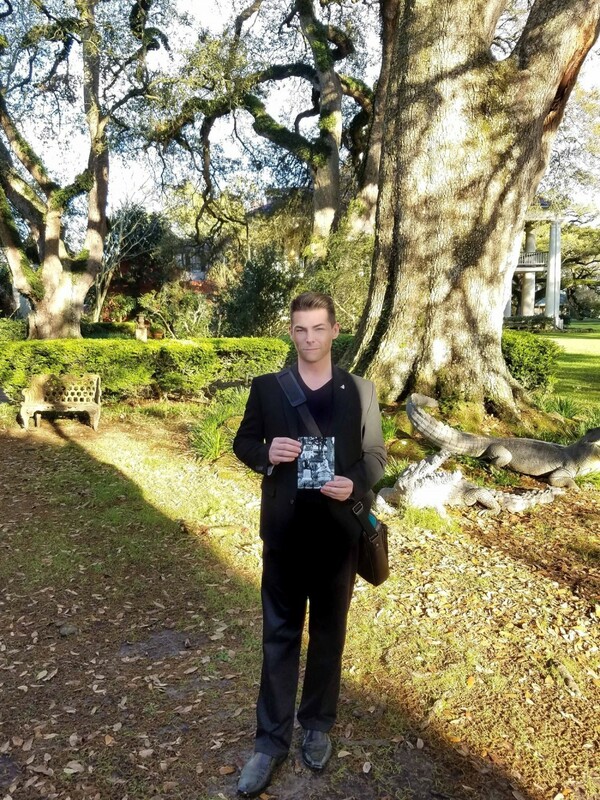 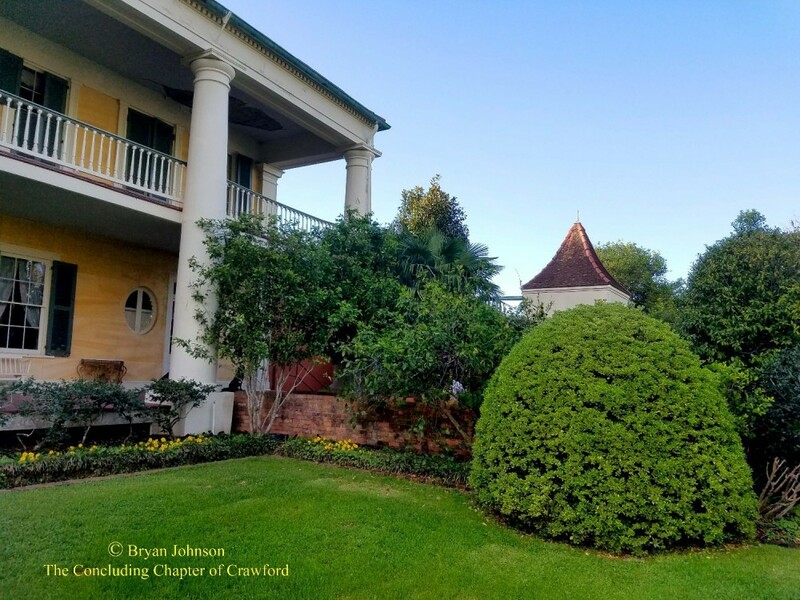 During my visit to Houmas House Plantation, I wanted to exhibit the exact locations where Joan Crawford filmed scenes for "Hush...Hush, Sweet Charlotte," and took various wardrobe and publicity photos. 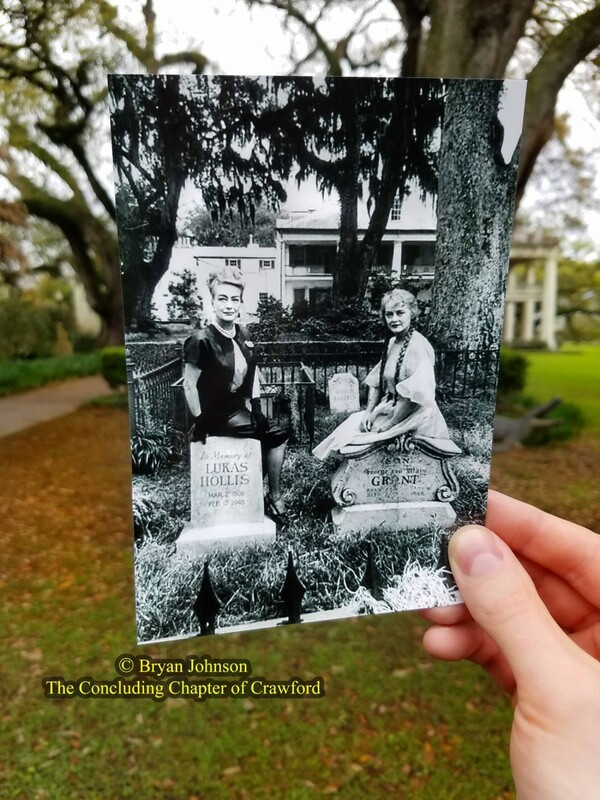 I'm a fan of holding up a vintage photograph in the modern day location where the original photograph was taken, and decided to use that concept with the below photos. 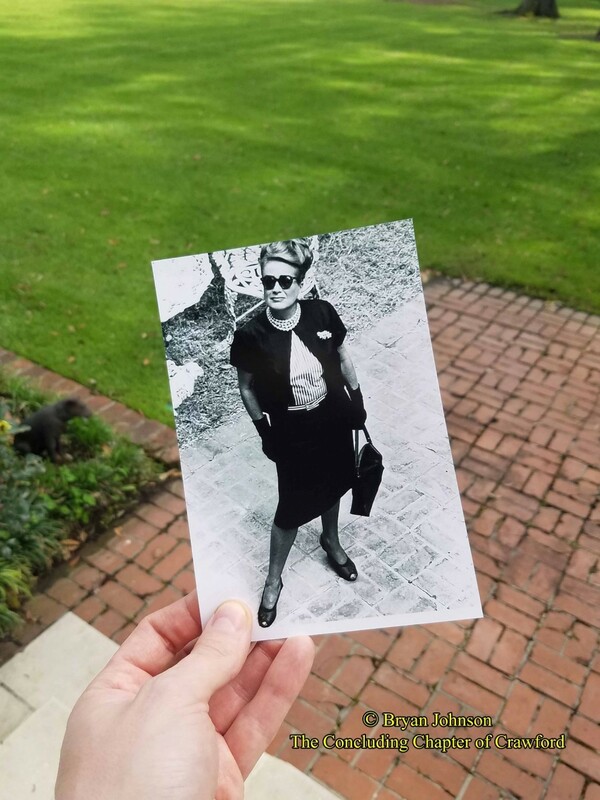 Likewise, as any Crawford fans would be tempted to engage​ in doing, I replicated some of the most treasured photos of Joan on the set of "Charlotte" using myself. 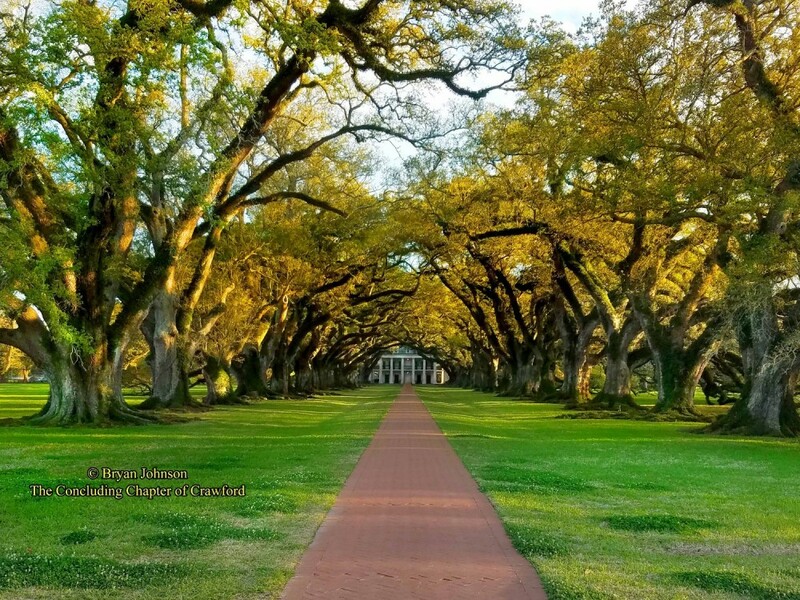 I hope you enjoy my efforts and find interesting the approach of photographing vintage photos in modern day locations. 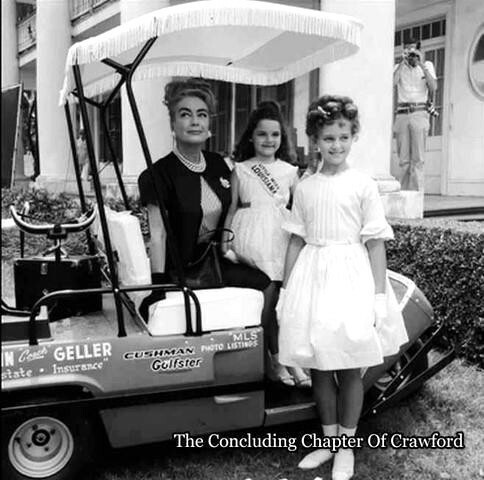 Below: These two photos of Joan on the set of "Charlotte" was taken near this same rear corner of the plantation. 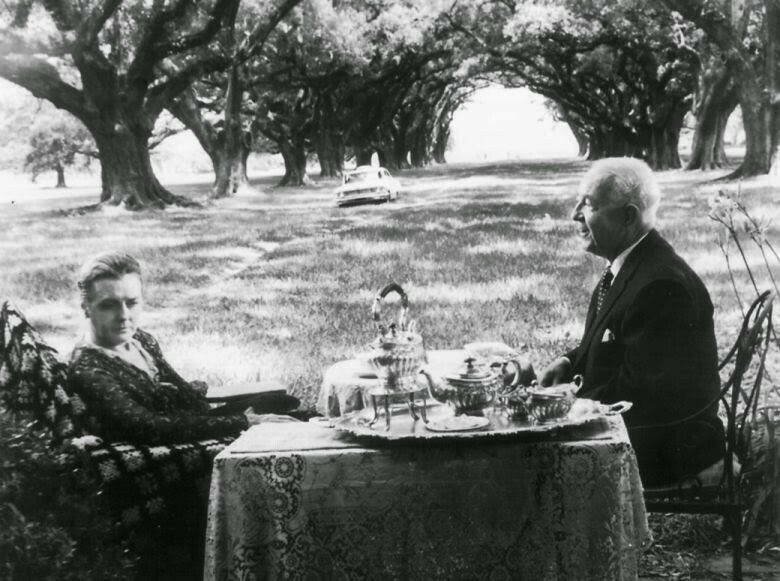 Below: This scene in "Charlotte" featuring Mary Astor and Cecil Kelloway took place at the Oak Alley Plantation, approximately 30 minutes east of Houmas House.